Roller coasters could remove this painful disease. Every year more than 300,000 people with kidney stones are admitted to an emergency room in the U.S. and the treatment cost ranges from $5,000 to $10.000. Now a study at Michigan State University suggests a cheap treatment. 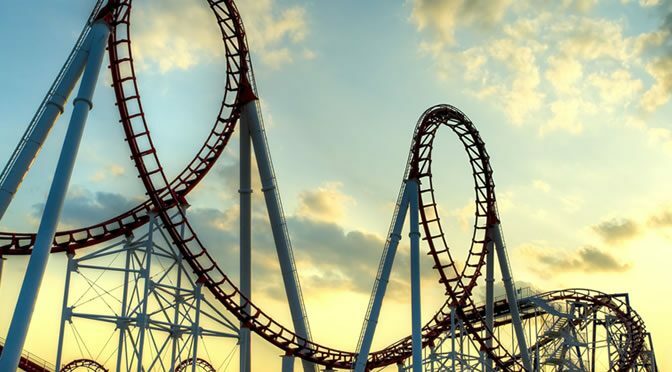 Kidney stones patients who take a ride in a roller coaster have a 70% chance of passing small stones. The research idea came from some kidney stones patients who reported passing a stone after rides on the Big Thunder Mountain Railroad roller coaster at Disney World in Florida. “Basically, I had patients telling me that after riding a particular roller coaster at Walt Disney World, they were able to pass their kidney stone. So they tested the idea by using a model and took it on Big Thunder Mountain at the theme park 20 times and their results confirmed patients’ reports. The results showed that when sitting in the rear of the coaster, the passage rate increased to 70% and the rate could even increase to 100% if the stones were located in the upper chambers (calyces) of the kidney. “In all, we used 174 kidney stones of varying shapes, sizes and weights to see if each model worked on the same ride and on two other roller coasters. Big Thunder Mountain was the only one that worked. We tried Space Mountain and Aerosmith’s Rock ‘n’ Roller Coaster and both failed. Lithotripsy is a procedure that breaks down kidney stones to smaller pieces, and it is a common treatment for kidney stones larger than 5 millimetres. “The problem though is lithotripsy can leave remnants in the kidney which can result in another stone. “You need to heed the warnings before going on a roller coaster. If you have a kidney stone, but are otherwise healthy and meet the requirements of the ride, patients should try it. The study was published in The Journal of the American Osteopathic Association (Mitchell & Wartinger, 2016).